I couldn't find any other topic like this so I decided to make my own! Anyways, we all know (or should know) that LEGO's are amazing and rewarding, so be proud of what you have built (whether it's from a set or not!) and post it here! Here's a video featuring my LEGO city that I stuffed full of LED lights and connected to one power grid! The old, incomplete video about me lighting up my buildings with LED Lights on a power grid! I have some more interesting ones, I'll post later. 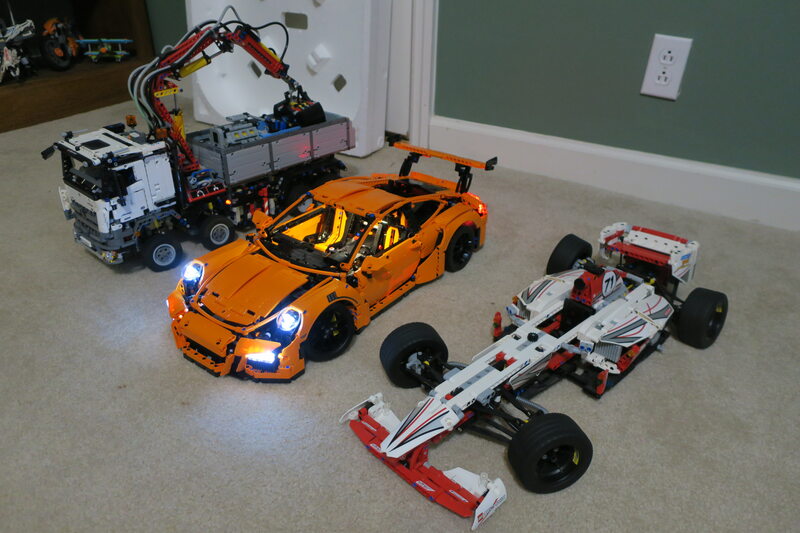 Anyways, so far, every Christmas or so I've been getting one giant LEGO Technic set for me to build, this is year 3 and here is my collection so far. Note: This is in American dollars; time is only measuring active build time, not breaks or sleep. 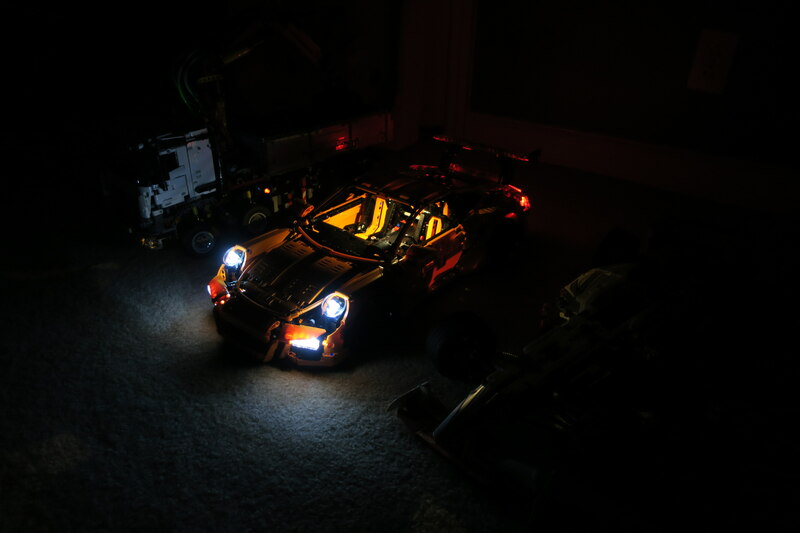 I also added some lights on the Mercedes truck, but it's hard to see them with the overwhelming Porsche lights on. Very nice! I stopped getting Lego sets for Christmas like 2 or 3 years ago, but some of those bigger lego sets look pretty cool! How much did the sports car in the middle cost, by the way? Is the middle one a porche 911 gtr? Yep! It's a great kit and I highly recommend getting it. Edit: Also, why is the outlet on the wall upside down? EDIT: I got some good pictures in place of the old, grainy one. 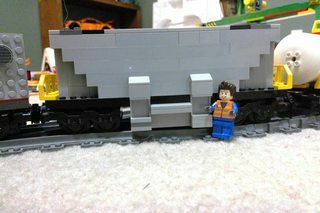 Here are two of the LEGO sets I own. 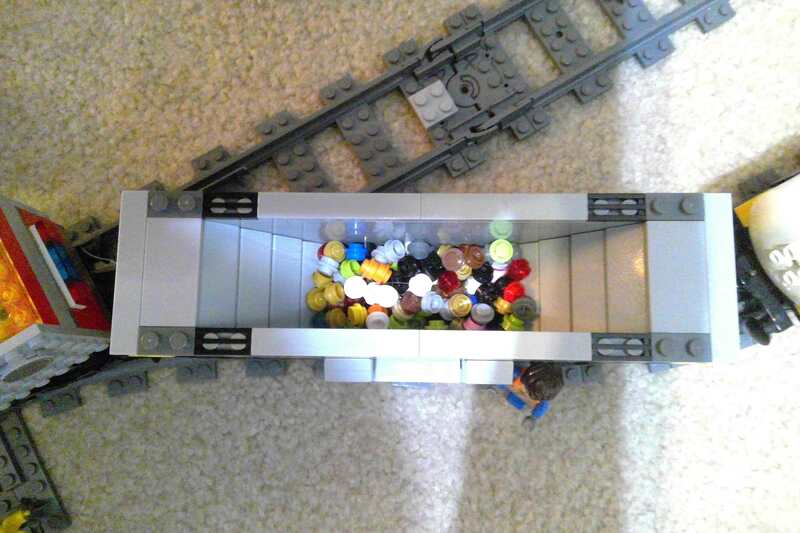 I haven’t actually touched my lego sets in years, and I’ve sold some of my less interesting ones. These two are the only ones that are still put together at the moment. Those look pretty cool Michael! Especially that plane, what set is it? Wow that's really cool! I hope you will try to make it again. 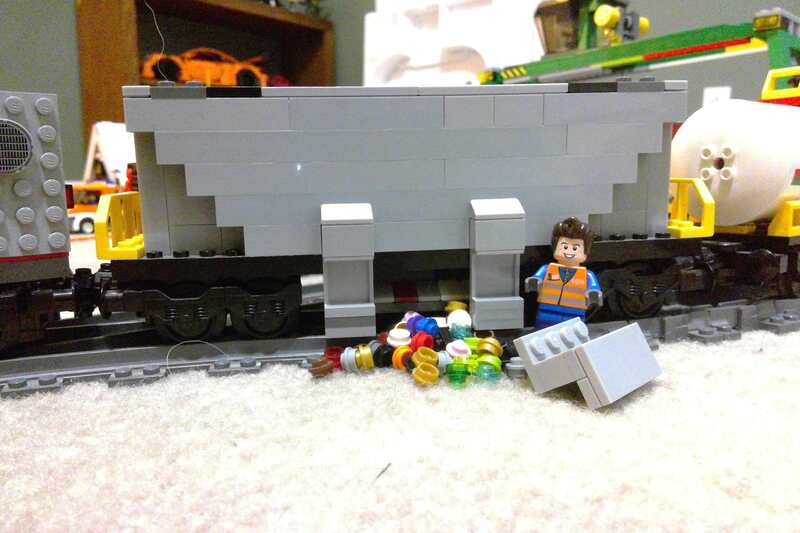 Anyways, I took a break from programming, broke my LEGO train's car transport, and decided to build one of those things I think store grain (in this case studs) and stuff in. For the first time, I was able to keep the thing (nearly) all the same color! 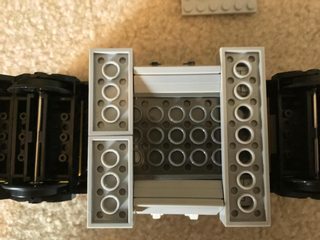 The part that dispenses the studs was a pain to make! It took 5 revisions before it even remotely worked. It still doesn't work extraordinarily well, but my fingers hurt and my fingernails are all gone so that's enough of that for now. 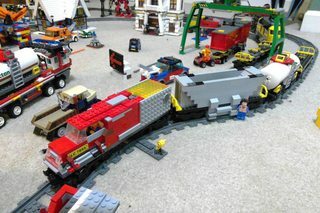 The heaviest (dry weight) car I have for my train. 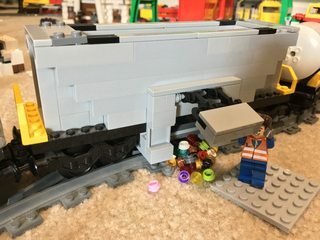 It's much shorter than all my other train cars, so I paired it it up with my short train I made. 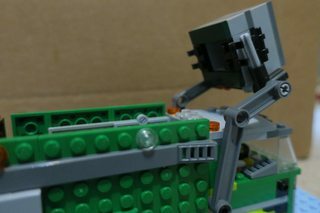 I took apart 3 minifigures so I could have a Kerm-looking minifigure. 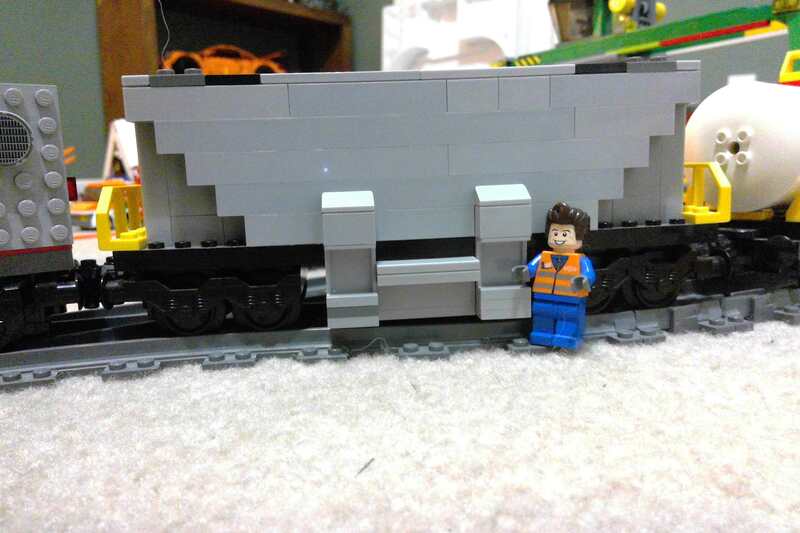 TheLastMillennial, there's nothing that I don't like in that train build, from the awesome locomotive you designed to those cars (especially the hopper car) to the little Kerm engineer figure. I was at train training today, so that's especially apropos. 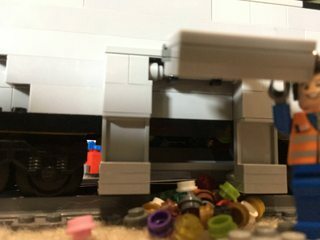 Although I really like the dispenser mechanism you made for the hopper car, my next challenge to you is going to be one that can be opened and closed without removing it and without substantially decreasing the capacity of the car, which I suspect is a big challenge indeed. I might as well share an ongoing (very occasional) project of mine when I have random moments to myself. 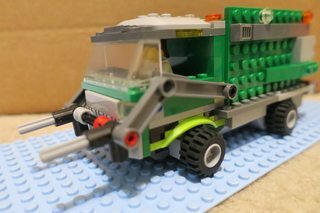 It's a LEGO version of CPRR1, gradually evolving as I investigate SNOT techniques and with pointers from elfprince13. Great challenge Kerm! I succeeded on every point! At first I tried covering up the 2 holes within the dispenser, but due to space restrictions, I ditched that idea. 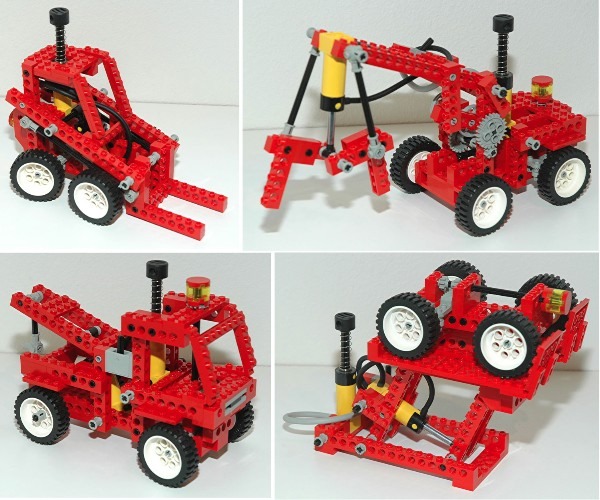 I finally realized that the supports on the outside of the car could be really useful in holding something which led to the following design. 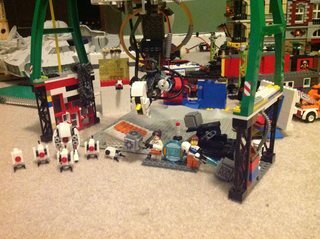 I suppose I should also show off my GLaDOS I made a few years ago. It's probably the most complex thing I've ever build only from memory. She can move along a management rail, rotate an unlimited number of turns due to all the wires being connected to her chassis, and I even made her eye light up! 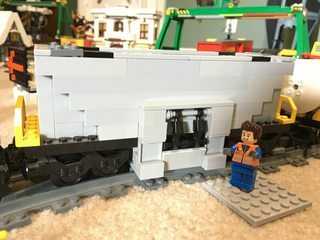 I'm a bit late on this, but I wanted to congratulate you on meeting my challenge with that hopper car. Also, your GLaDOS is superb, especially the fact that she can move around on her rails. 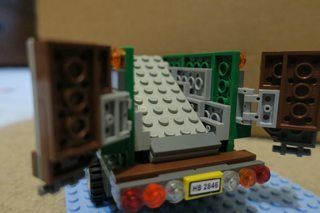 I took a break from programming/ video editing and got bored so I decided to make a garbage truck, or is it a recycling truck? I really don't know, it's green, but meh; choose your pick. Here are some photos, you can view the complete album here. 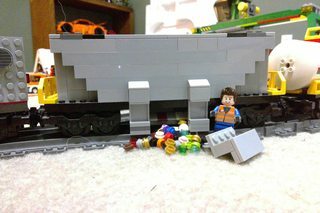 I wanted to congratulate you on meeting my challenge with that hopper car. 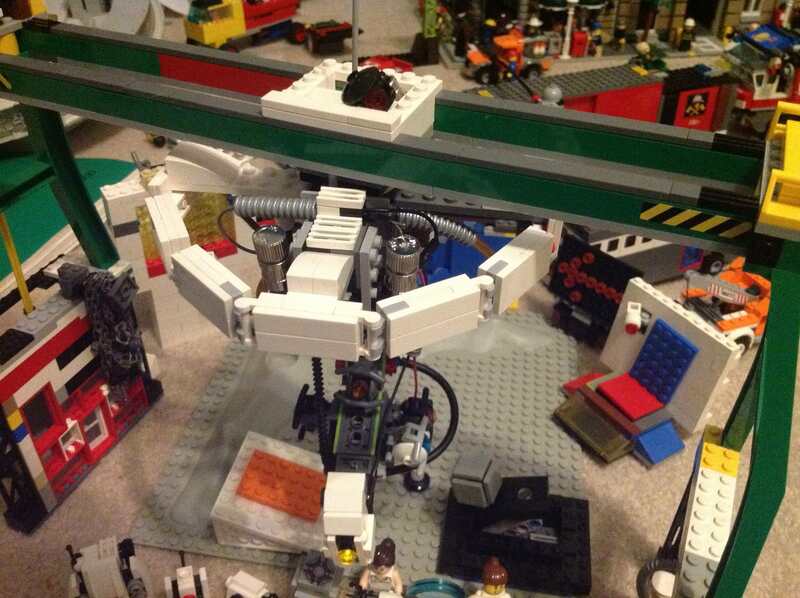 Also, your GLaDOS is superb, especially the fact that she can move around on her rails. Thanks Kerm! I look forward to seeing the CPRR1 completed, it looks like you have a solid design! 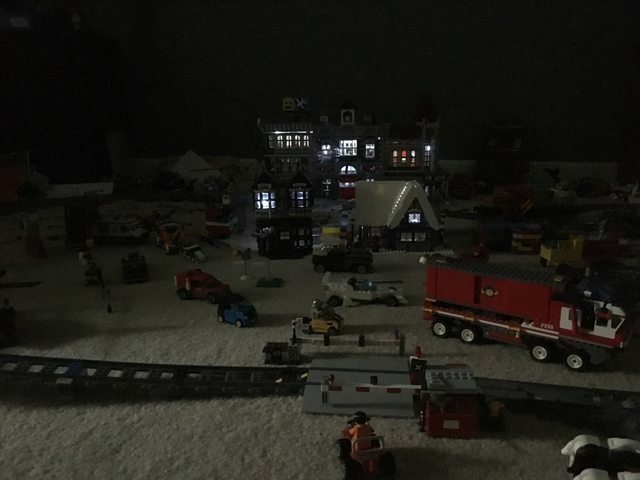 It's been 3 years since I've really messed with my power grid and lights for my Lego buildings, but for some reason last night I though I thought "what the heck". So I repaired some bad connections, accidentally broke my traffic lights, and added into two more buildings to the grid! My room is quite a mess now. My goal is to install lights maybe two more houses. I'm glad I worked on the existing connections, I improved the reliability of it by 20% so it's finally 60% reliable! 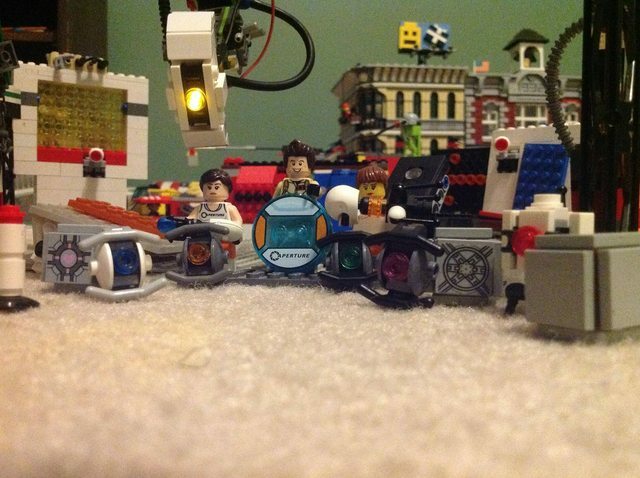 That would be the Sonic Boom (5892) Creator set. 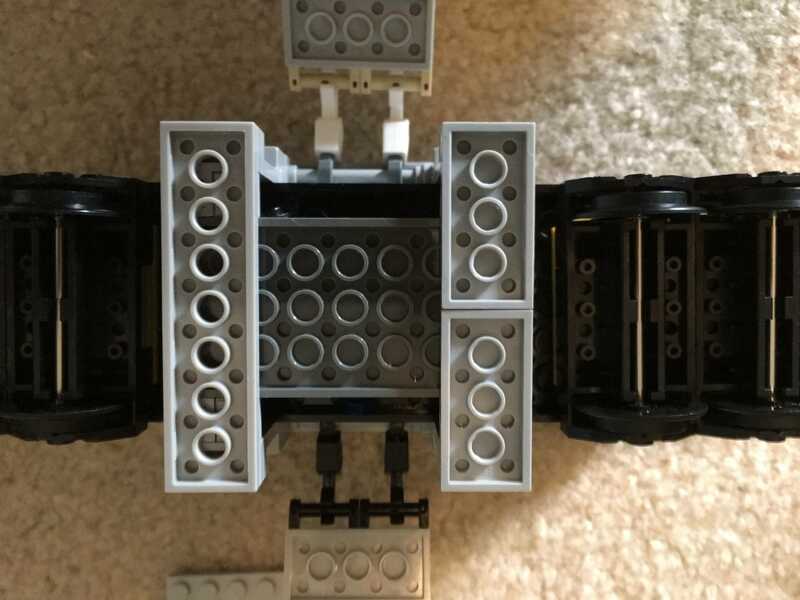 It can be also be turned into a motorboat or twin propeller plane. 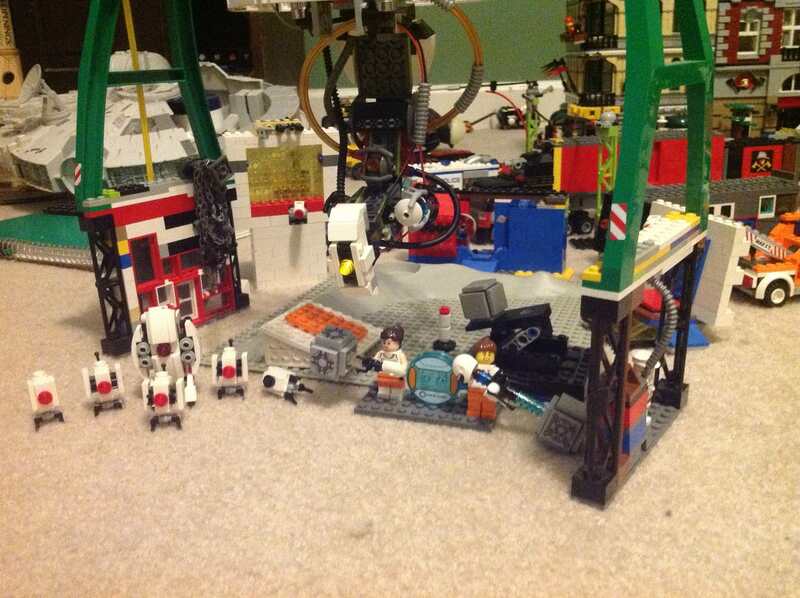 Also, that town of sorts you just posted is really cool! I really like your power grid idea. 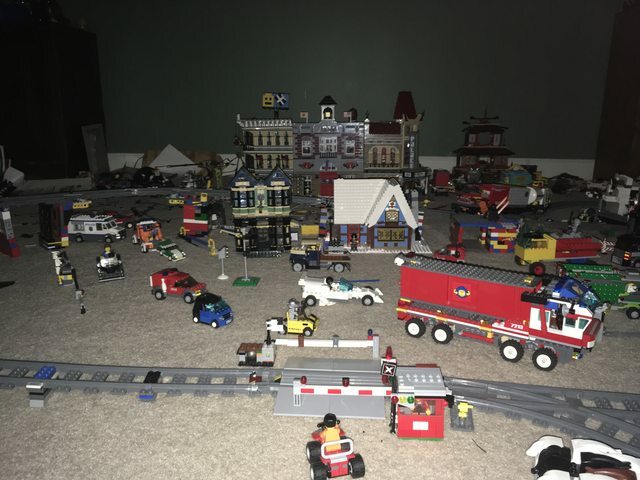 Yesterday evening I decided it was time to let my 3.5 year old son see the Lego set he would be inheriting. 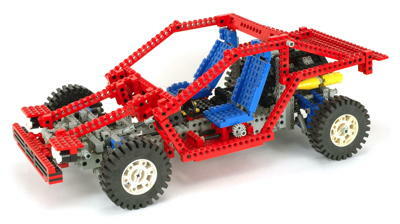 I had forgotten just how great a Technic collection I had as a kid, and had taken for granted. Yeah, I was apparently a spoiled child. 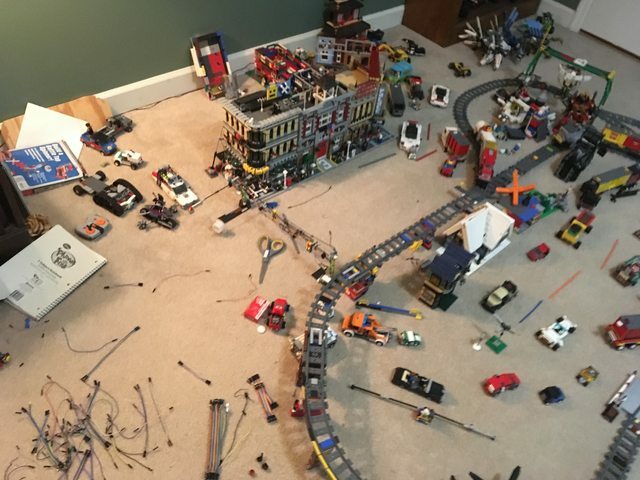 But I spent HOURS upon HOURS in our living room building things. Probably the best toy I ever had. Hey Vernys, welcome to Cemetech! Perhaps you could introduce yourself? I couldn't view most of those image, something about the host site being configured incorrectly, but what I did see looks pretty cool! 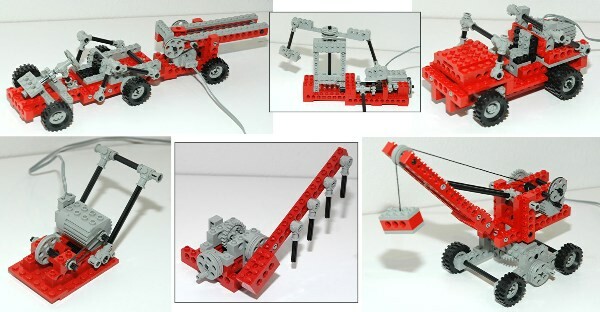 I wish I had more of those older motors and red Technic bricks. 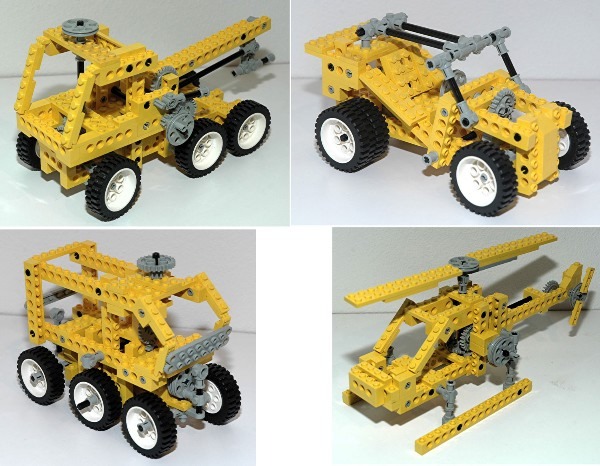 I love the look of the old Technic sets, I kinda wish LEGO would expose more of the gear system in their new sets. I think your son will really enjoy them, my dad gave me his LEGOs when I was 4 or so and I still mess around with them over a decade later. A side note, I've finished adding all the buildings to my power grid! I'm looking to create a video on it, but that'll take a while since I have more pressing things to accomplish. © Copyright 2000-2019 Cemetech & Christopher Mitchell :: Page Execution Time: 0.197835 seconds.